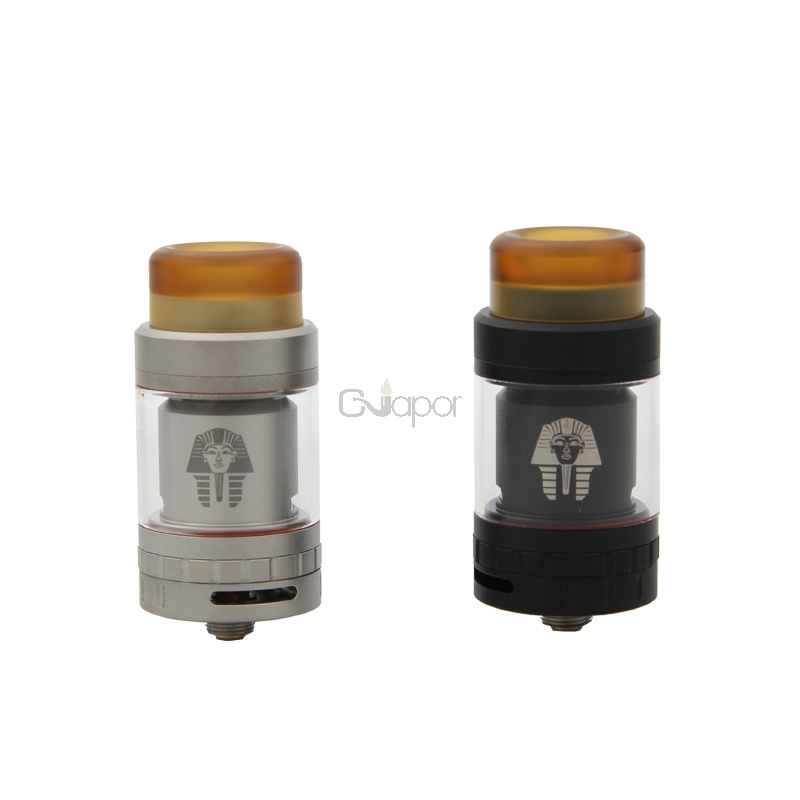 The Pharaoh Mini RTA is smaller than Pharaoh RTA. Pharaoh Mini RTA incorporates an interchangeable deck system providing flexibility and options for users. 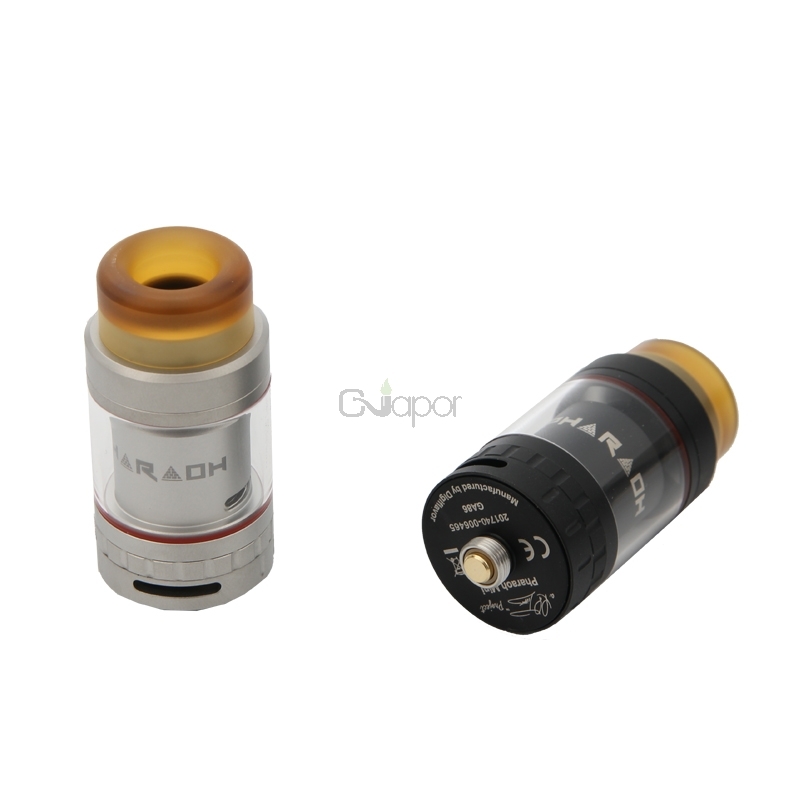 This RTA comes with chamber lock system securing juice port ring and chamber. Domical chamber for better flavor. It can hold 2ml or 5ml liquid. You can extend it from 2ml to 5ml by replacing the spare glass tube. Top filling design makes refill convenient.